On Trend fabrics specialise in fashion fabrics and trims for dressmaking. 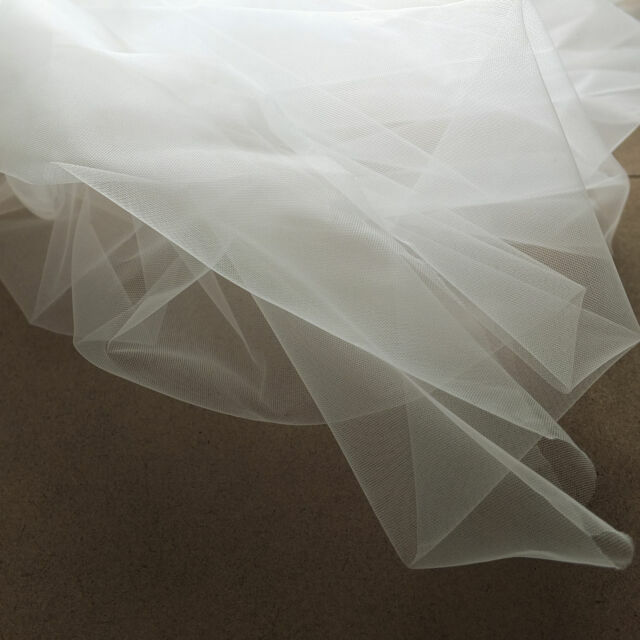 This delicate tulle is so fine you can hardly see it. Full width 150cm. Ivory (very pale cream). It will rusch and drape to create an attractive fall. I love the feel of the fabric, not harsh at all. Easy to sew and hangs beautifully. Great bit of soft tulle. Perfect for my wedding dress alterations. Dylon Hand Dye 50g - Full Range of Colours Available! Cheapest Prices Around!